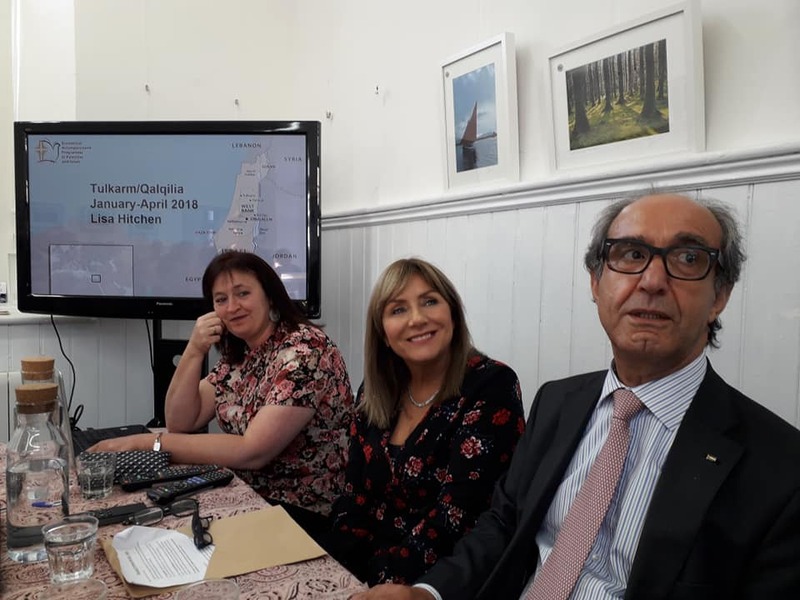 Senator Frances Black with the Palestinian Ambassador to Ireland, Ahmad Abdelrazek, during a public meeting in Kinvara in July. Photo: Ciaran Tierney Digital Storyteller. In July of this year, a packed town hall in Kinvara, Co Galway, heard Independent Senator Frances Black talk about her plans to ban goods from illegal Israeli ‘settlements’ in the West Bank from Ireland. A few days later, against the odds, the Irish Senate voted in favour of her Occupied Territories Bill 2018 after opposition party Fianna Fail agreed to support the bill. The vote made headlines all across the globe as, when passed, this bill is set to inspire similar legislation in other European countries. I wrote about it for Electronic Intifada, the biggest English language Palestinian news site in the world, and the reaction was overwhelming at the time. Later this month, the bill enters the crucial second stage. 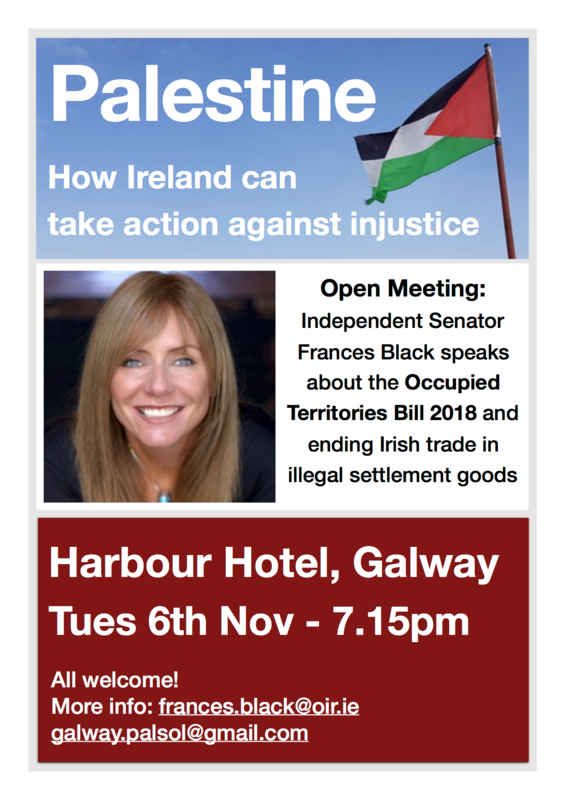 And on Tuesday night people in Galway city have a chance to hear an update from Senator Black, a passionate campaigner for human rights, and local activists who have been to Palestine. Senator Black’s resolve to do something for the people of Palestine was strengthened by a visit to the West Bank and Gaza in May of this year. “What I saw over there was a hundred times worse than what I expected,” she told me at the time. 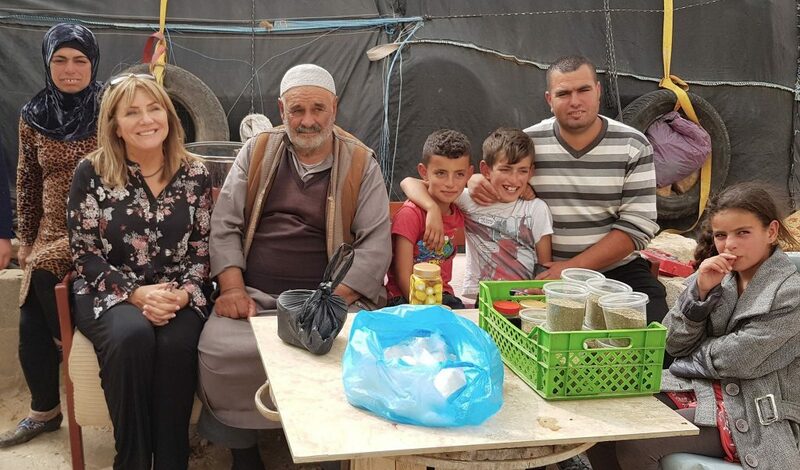 Senator Black with a family in the West Bank, May 2018. Now she is coming to Galway next Tuesday night (7.15pm) to give people in the West of Ireland an update about her Occupied Territories Bill. The first vote was historic, after Niall Collins of Fianna Fail pledged his support. He, too, was shocked by what he saw in Palestine during a trip just before that Seanad vote in July. Senator Black will outline why she has tabled the bill, the next steps it will have to go through, and the reaction she has received across the globe. The Irish Government, led by Foreign Minister Simon Coveney, refused to back her bill but the support of Fianna Fail got it over the first hurdle. The evening will also feature personal accounts from local members of the Ireland Palestine Solidarity Campaign and political representatives. It takes place at the Harbour Hotel on Tuesday, November 6, at 7.15pm. All of Israel’s settlements in the West Bank are illegal according to international law and the occupation has gone on for 51 years, with no sign of justice for the people of Palestine. There is a growing belief among international law experts that trade with Israeli settlements is illegal, and human rights groups such as Amnesty International have called on governments to impose such a ban. 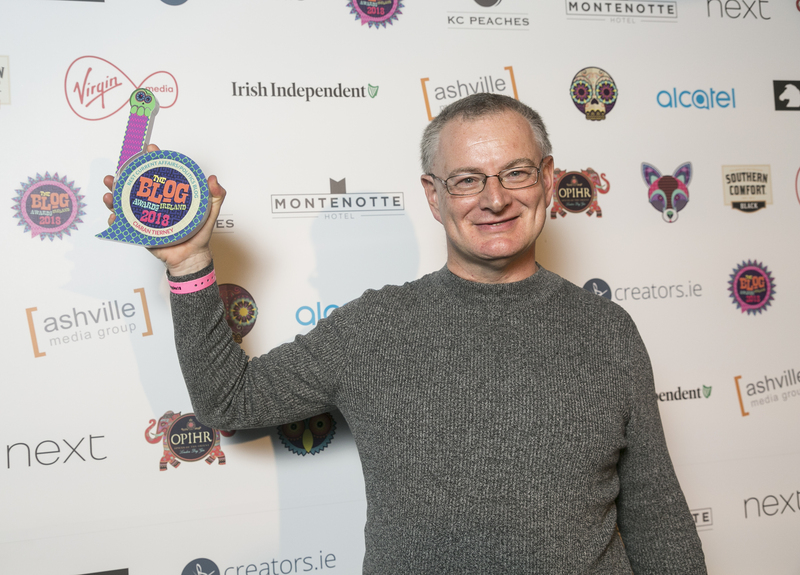 Ciaran Tierney, winner of the 2018 Irish Current Affairs Blogger of the Year award in Dublin, October 2018. Will the Islamist Hamas be sanctioned as well ? Are they part of the solution or the problem ? Previous Previous post: Best current affairs blog in Ireland! Next Next post: Bridie (107) joins the “lost tribe” of Galway!